RIFF TALKS offers the local community a chance to get up close to internationally renowned contemporary artists, offering performances, workshops, and dynamic panel discussions focused around critical themes in dance. RIFF TALKS V brings together a diverse group of artists who explicitly or implicitly explore notions of Identity in performance. As issues of race and gender affect our country and our lives, we are honored to gather this group, who are working on the front lines of art and politics. RIFF TALKS ARTISTS: Tara Aisha Willis is a scholar and performance artist, currently a PHD candidate in Performance Studies at NY University and is theCoordinator of Diversity Initiatives for Movement Research in NYC. 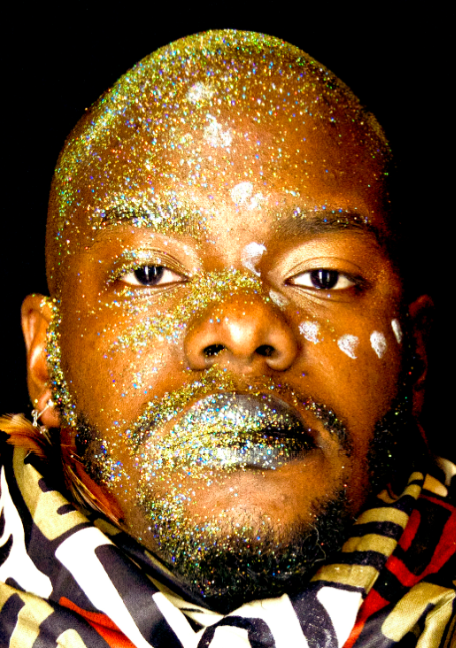 Jaamil Olawale Kosoko is a Nigerian American curator, poet and performance artist, based in New York City, who has toured internationally with political work such as CRYING SONGS that reference issues related to misogyny and patriarchal constructs of masculinity. Sara Smith is an interdisciplinary choreographer and the Arts and Humanities librarian at Amherst College, who creates performances and other works which traverse dance, visual art, writing, and historical research. Joy Mariama Smith is a native Philadelphian who relocated to the Netherlands to complete an MFA program at the Dutch Art Institute; Smith's work primarily addresses the conundrum of projected identities in various contexts and is currently investigating efficiency in collaborative processes, and 'real time' as an artistic medium. Joy Mariama Smith (NL/US) A native Philadelphian currently based in Den Haag, NL, Joy Mariama Smith's work primarily addresses the conundrum of projected identities in various contexts. A sub-theme, or ongoing question in their* work is: What is the interplay between the body and it's physical environment? Rooted in socially engaged art practice, they are a performance/installation/movement artist , activist, facilitator, curator and architectural designer. They have a strong improvisational practice spanning 20 years. Smith is the co-founder of the COLLAGE Festival, they co-facilitate Couples Therapy, a lab focusing on collaboration between artist. Tara Aisha Willis is a dance artist and PhD candidate in Performance Studies at NYU, where she researches black experimentation in contemporary dance. A member of the Women & Performance’s Editorial Board, she has served as Co-Managing Editor of TDR, and co-edited a special issue of The Black Scholar with Thomas F. DeFrantz entitled “Black Moves: New Research in Black Dance Studies.” In addition to her written contributions to those academic journals, Tara’s writing and interviews also appear in Movement Research Performance Journal, The Brooklyn Rail, and Magazin im August. As Movement Research’s Program Advisor, she coordinates and advises on their diversity initiatives, including the Artist of Color Council, and programs their Studies Project series, a platform for artist-initiated discursive events. She has recently danced in projects by Kim Brandt, Megan Byrne, and Anna Sperber, and forthcoming in projects with Yanira Castro and Will Rawls. Her own choreography has been shown at Movement Research at Judson Church, BAX/Brooklyn Arts Exchange, Roulette, THROW at The Chocolate Factory, Dixon Place, The Painting Center, AUNTS (Abrons Art Center, The Ace Hotel, Jam Handy), the CURRENT SESSIONS at Wild Project, CPR, and forthcoming in a Danspace Project DraftWork. She was a 2009 Dance Theater Workshop Van Lier Fellow, a 2015 Mellon Dance Studies Summer Seminar participant, and a 2016 Chez Bushwick Artist in Residence. As a performer, Kosoko has created original roles in the performance works of visual artist Nick Cave, Pig Iron Theatre Company, Keely Garfield Dance, Miguel Gutierrez and The Powerful People, Headlong Dance Theater, among others. Kosoko’s poems, interviews, and essays have been published in The American Poetry Review, Poems Against War, The Dunes Review, Silo, Detroit Research v2, Dance Journal (PHL), the Broad Street Review (PHL), MR's Performance Journal, and Critical Correspondence (NYC). In 2011, Kosoko published Notes on an Urban Kill-Floor: Poems for Detroit (Old City Publishing). He has served on numerous curatorial and funding panels including the National Endowment for the Arts, MAP Fund, Movement Research at Judson Church, Philadelphia Cultural Fund, Baker Artists Awards, Bemis Center, among others. He continues to guest teach, speak, and lecture throughout the US and abroad. 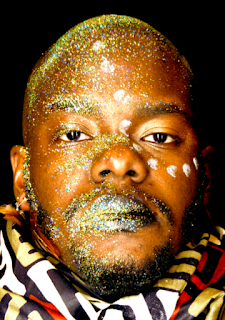 Kosoko is a Gibney Dance boo-koo resident artist and a recipient of a 2016 USArtists International Award from the Mid-Atlantic Arts Foundation.